Happy Friday! Is anyone else excited for the weekend? I always get excited for the weekend, but the weekends sure seem to fly by. Does that happen to anyone else? 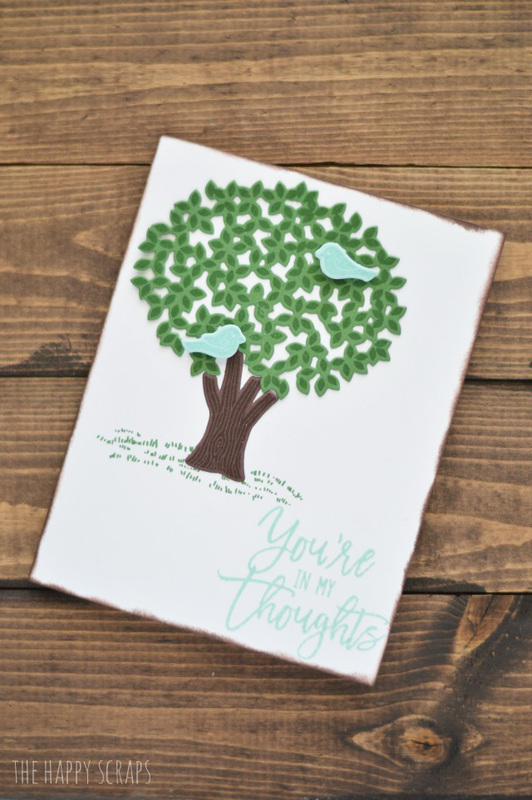 I’m excited for more than just the weekend though, because I get to go to a Parade of Homes Open House tonight AND I get to share this fun Stamped Thoughtful Branches Card with you today! 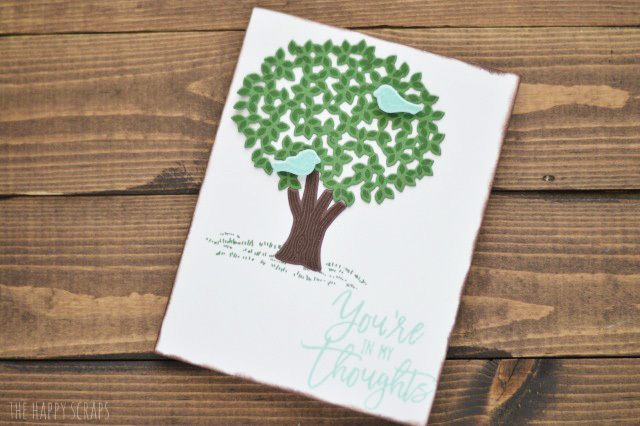 When Stampin’ Up asked me if I wanted to use this Thoughtful Branches set to create something, I was excited! I love all the different elements that makes layering fun, plus using the Beautiful Branches Thinlits Dies adds to the fun. I pulled out the supplies that I wanted to use, and got to work! 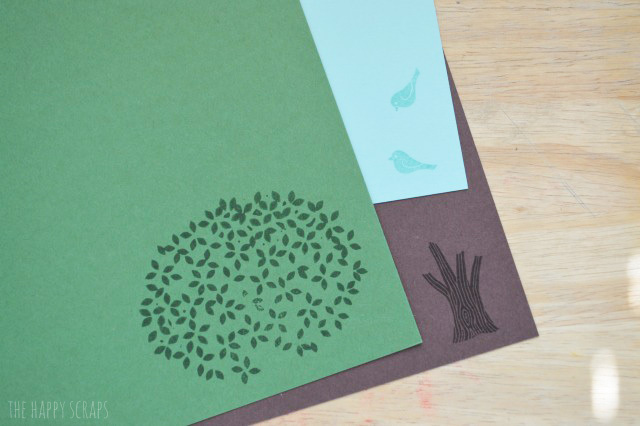 I stamped the tree trunk, leaves and birds onto the paper I wanted to use, using the ink that matched the paper. Then I used the Thinlits to die cut around the stamped images. 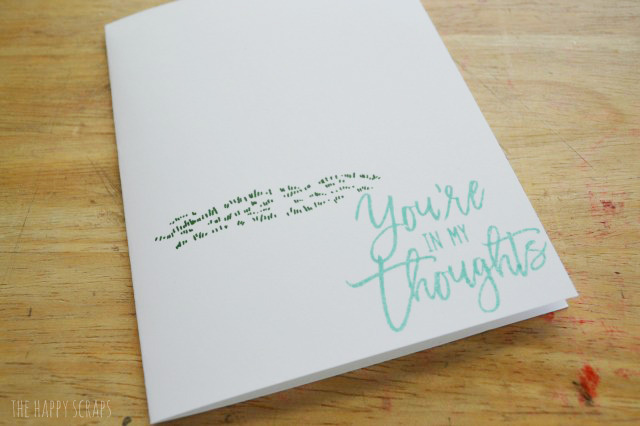 I stamped the grass and “You’re in my thoughts” on the front of the card. Then I added the tree. Once I had the tree on, I used dimensional foam squares to attach the birds on to the card. 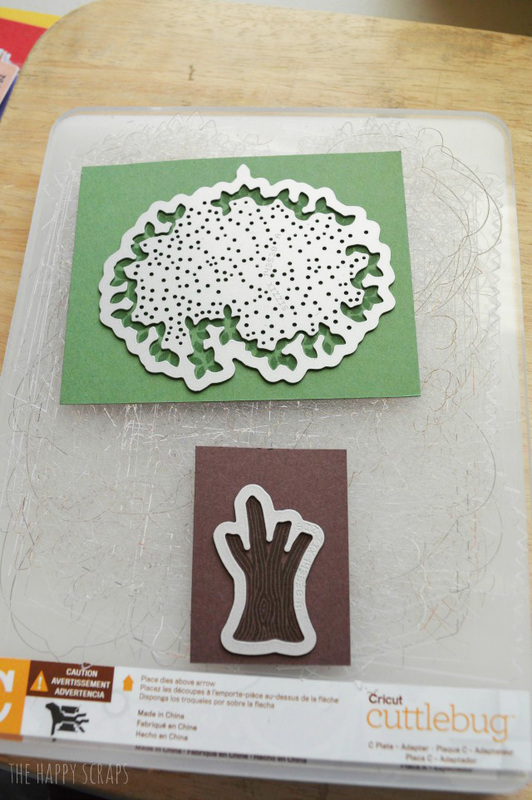 Once I had it all done, I decided to use an ink dauber and add some brown ink to the edges of the card. I adore the way this card turned out, and I love that I could easily make this into a fall themed card, or using other stamps in the set, I could make a winter card too. It really is a fun set! 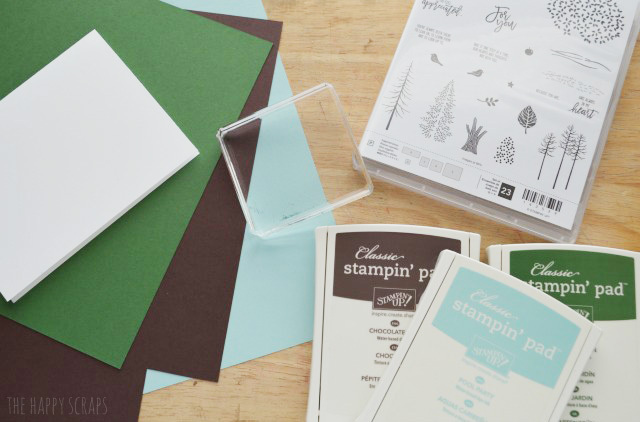 If you want to get your hands on this fun set, check out the Stampin’ Up! website. This set is only available for a limited time through August, and it’s not in the catalog. Don’t miss out on this! It is such a fun set! Disclaimer: I received product in exchange for this post. The card idea and thoughts on this are all my own. Filed Under: Cards, DIY Projects, Paper Crafts Tagged With: card, cuttlebug, ink, stamp, stampin' up!